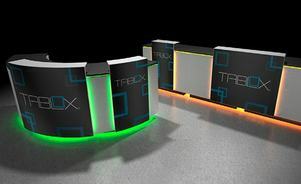 Modular Tablox has curved and square standard units along with compatible Cascade and Fascia components. 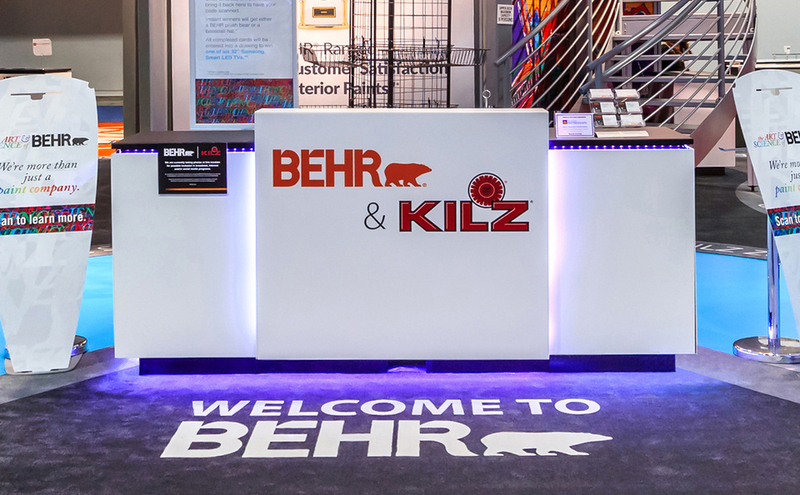 Units easily connect to achieve various designs and sizes. Tablox shelves support up to 50 lbs. (22.7 kg) each. Spring-loaded connector pins attached to each shelf allow for quick installation. Shelves are easily repositioned to various heights within the table. 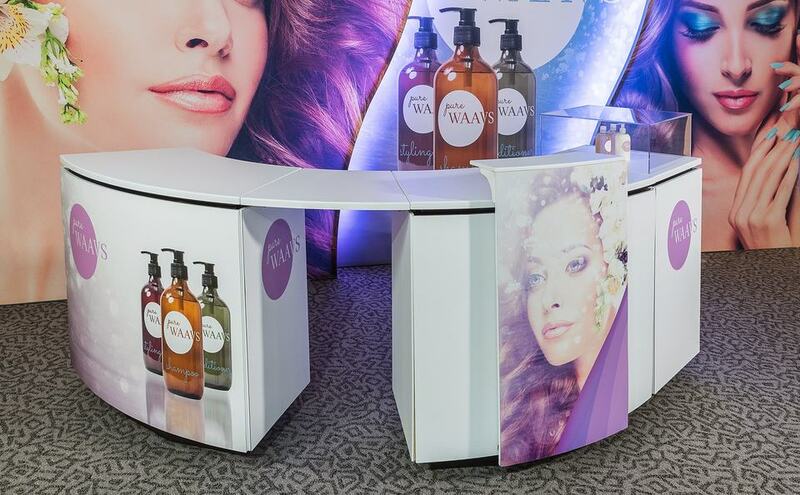 Customize Tablox tables with branded graphics! 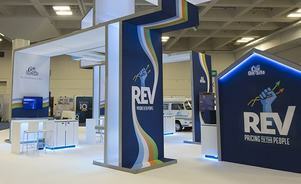 Detachable Skyline graphics quickly install with magnets. 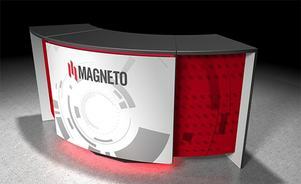 And, since they are detachable, you can change your look or message without having to replace structural table panels. Tablox has built-in wire management in all four corners. 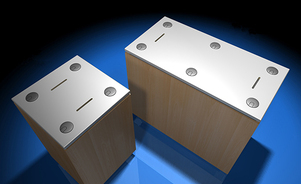 In addition, access holes can be ordered in any of four positions for a 23” top or any of six positions for a 46” top. Lead management slots can also be ordered in either of two positions. Dismantling and packing Tablox is as easy as its installation! 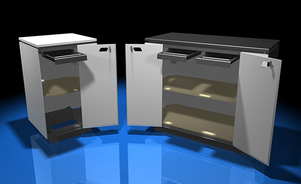 Standard 23” or 46” units have only six components – a single-piece base, four side panels and a top. It’s intuitive and there are no small parts that need to be disassembled. 46" table uses larger durable case with optional wheel package. See how the smartly-designed features of Tablox make it so versatile and easy to use. 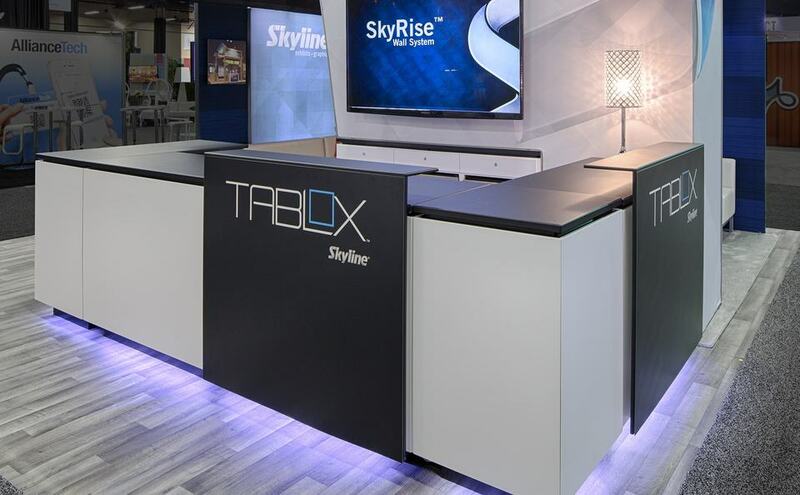 Skyline is staying ahead of the curve with Phase II of the Tablox® Table System. 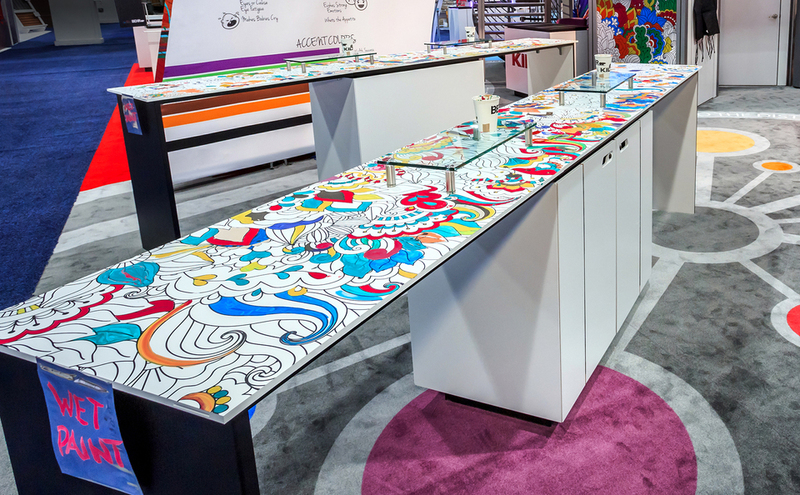 You now have more options that fit perfectly within a wide range of display designs – from 10' backwalls to custom islands. 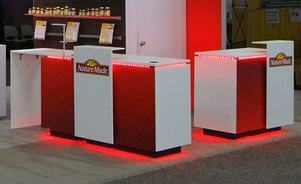 Tablox can be lit with LED lighting at the top and bottom of the unit in colors to match your brand. Versatile Tablox works with other Skyline systems to add function and maintain brand consistency. 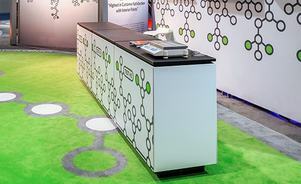 Tablox graphics match exhibit graphics for a seamless brand prersentation. Request a Free Copy of the Skyline Tablox® Brochure Today! Interested in learning more about Skyline Tablox? 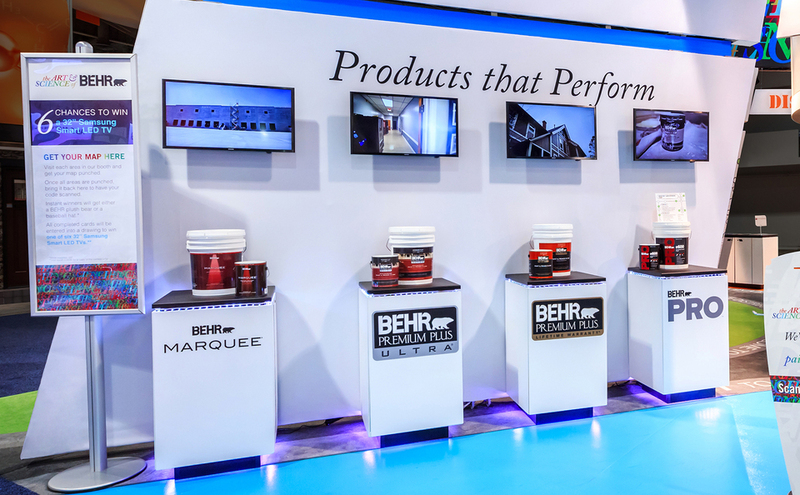 Request a free brochure today.